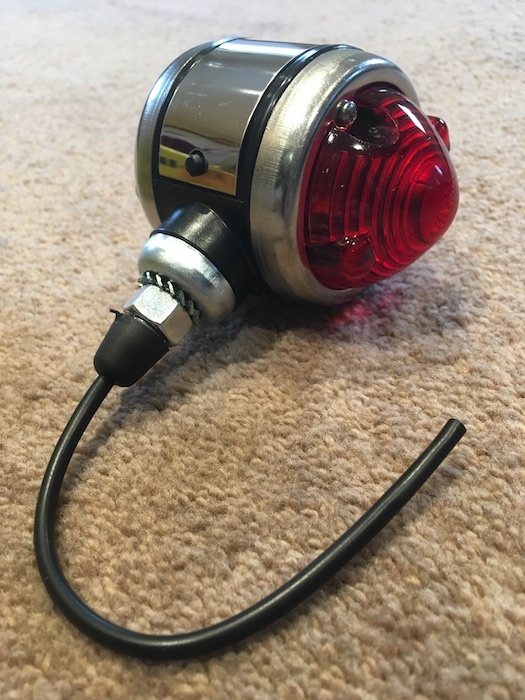 These unusual lights are of German origin, a good quality retro style marker light, shining white light to the front and red light to the rear. Sometimes fitted to bumpers or on top of retro style illuminated headboards. They are bulb type not led (bulbs not supplied). These unusual lights are of German origin, a good quality retro style marker light, shining white light to the front and red light to the rear. Sometimes fitted to bumpers or on top of retro style illuminated headboards. They are bulb type not led (bulbs not supplied).